I have said "***" several times on this board and the old one and never got into trouble. Wasn't aware it was an issue. Won't do it again. And don't protect @vike daddy's feelings. If he can dish it out, he can take it. i never said they were going to beat the crap out of Carolina, i never even said they were going to win. i said the Vikings had done well on the road so far. but i really doubt facts mean a lot to you, as you make them up for yourself. to the rest of the CAR fans who haven't been scared away by trolls like this guy above, good win for you guys, and best of luck going forward. i suggest the mods of this forum give a good look at how fellow FF members are treated, and whether it does anything positive to boost the low activity of this team forum. I’m shocked that we won this game. I thought minesota’s D would destroy us. Now I’m much more confident that we are going to the playoffs. I've been posting on FF for seven or eight years and never had an issue with anyone. 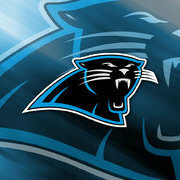 Any Panther fans here can vouch for me. I've talked crap to plenty of users before. Only one has cried to mods about it. Maybe someone else needs to take a good look at themselves. And that is my final post on the issue! Run game was noticeably better with Ryan Kalil in there. And we had some inside runs for CMC which was good to see. Defense was still playing aggressive when we were up big. Keenum was killing us with his scrambles though and we did get lucky on the non-catch (again, similar to ASJ's drop against the Jets). I feel like we should just bench Olsen until week 17 and let his foot rest. His limp scared the crap outta me. Good win. Surprised me as well. We need to rest Olsen until playoffs. Glad to see Ryan Kalil back. It really showed in the run game . Keep Pounding!